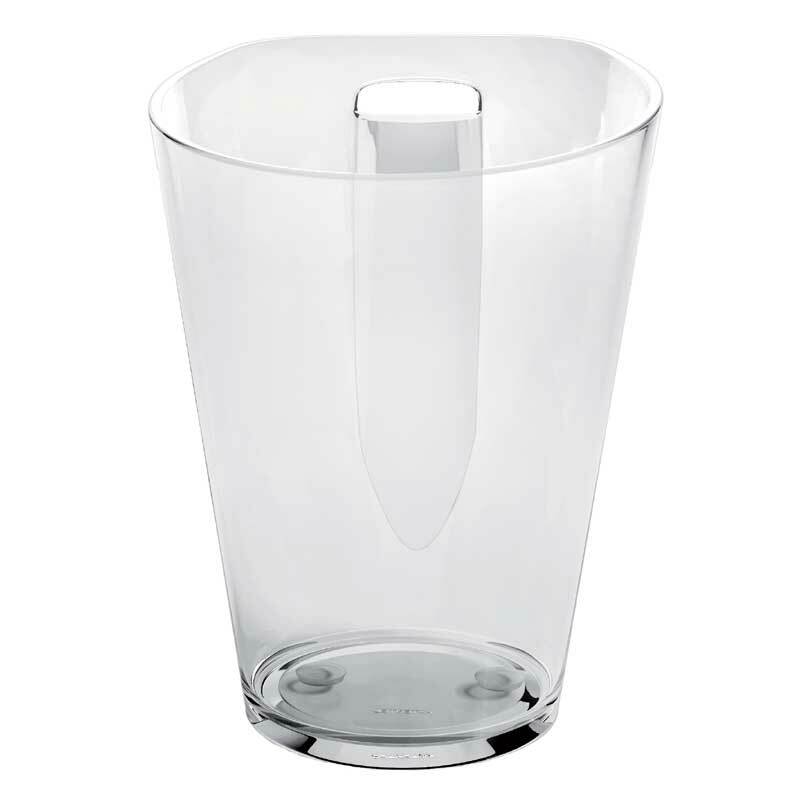 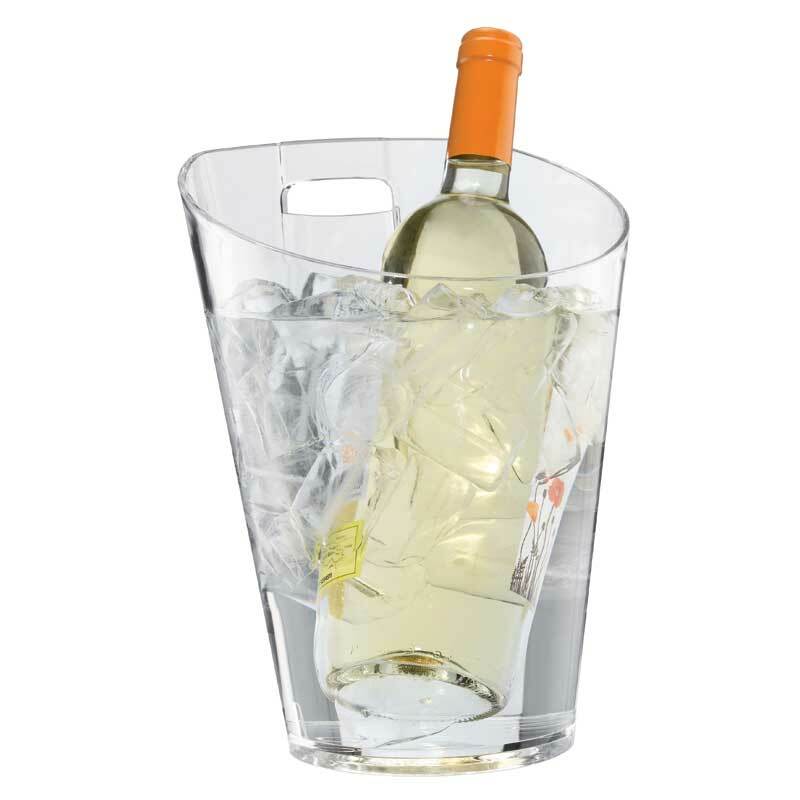 This table mounted ice bucket / cooler is perfect for both wine and champagne bottles. 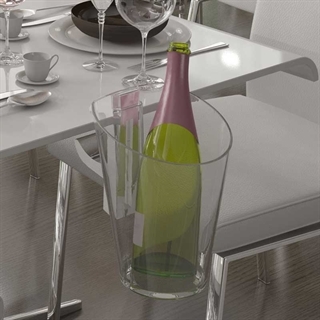 It's easy to fit to differing table thicknesses and the bucket simply slides on and off the adjustable grip-fast clamp. 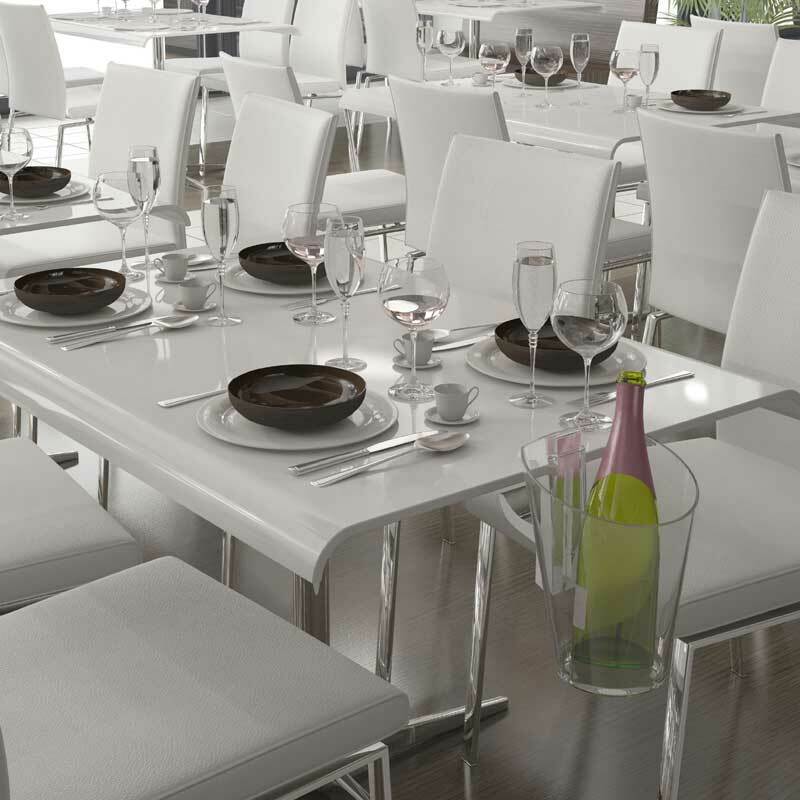 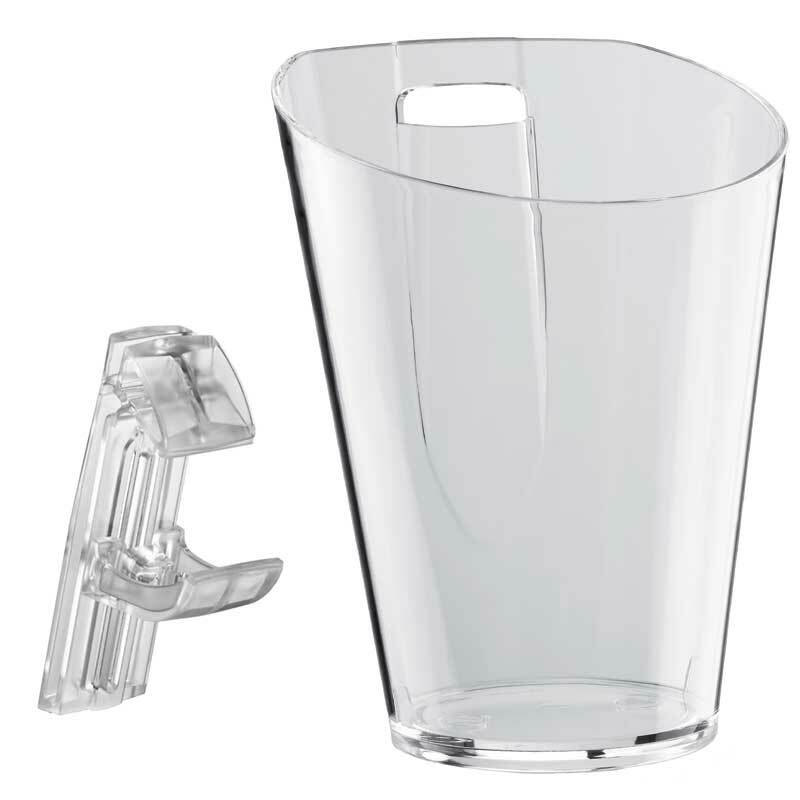 The Tablo grip-fast clamp is made from SAN plastic and is suitable for table widths of up to 85mm.